After breakfast, you will drive to kitgum town in Northern Uganda. You will have an opportunity to cross river Nile and of course karuma falls before proceeding to Gulu for lunch and then kitgum town for overnight. We stop in kitgum town to breakdown the long journey to Kidepo Valley National Park. After a warm cup of tea/coffee, drive to Narus Valley for your morning game drive. Narus Valley is popular for mammals such as elephants, giraffes, buffaloes antelopes, zebras and birds. Being the only permanent water point, many animals come to Narus valley to drink water and feed. Its where you will find the largest buffalo herds than you can find anywhere on planet earth. Chances of spotting big cats hunting are very high as well. If lucky, you may spot the rare cheeter too. Return to the Lodge for lunch, relaxation and then return to Narus Valley for an evening game drive. After breakfast, drive to Narus valley to do an extra game drive to trace wildlife that you could have missed on the two game drives done earlier on. Kidepo valley National Park are the best and you wont be disappointed. The park has observation points with binoculars and it will be your pleasure to use one of them. Return to the Lodge for Lunch, short relaxation and then drive to Kidepo Valley to visit the hot springs, the Ugand-South Sudan boarder and if lucky spot the giant Ostriches which are found in this place but have been seriously poached by Sudanese. There seasonal rivers on this side so if it is a rainy season, get ready to be interrupted for few hours. Return to the lodge for overnight. After breakfast, you will drive from Kidepo Valley National Park to Murchison Falls National Park. 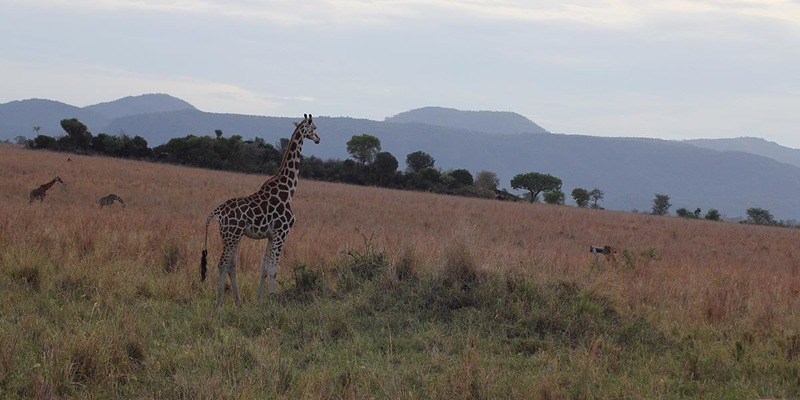 You will enjoy an enroute game drive through the northern section of the park popularly known as Para where you will have chances of spotting many mammals and if luck strikes, big cats hunting. Cross the ferry and overnight in the Park. After breakfast, you will drive back to Entebbe International Airport for your departure flight out of Uganda. You may passby the top of the falls to see the falls from the top or drive to Zziwa Sanctuary to track white Rhinos. Lunch enroute and drive to Entebbe International Airport.